Hey you! You fancy, huh? Thought so. 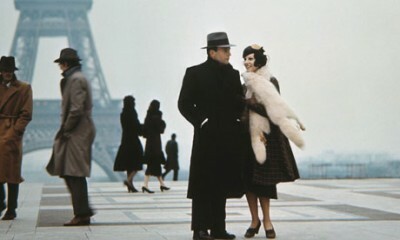 Then I guess I’ll be seeing you on Jan 29 at Film Streams Ruth Sokolof Theater for a one-time screening of The Conformist. You’d think that with a title like that, it’s about the anti-hipster movement I’ve started, but you’d be wrong. It’s a legendary film from Bernardo Bertolucci that was crazy influential on folks like Coppola and Scorsese. I should specify, Francis Ford and Martin, lest you think it influenced Billy Bob Coppola and Harpo Scorsese. The film will be followed by a discussion with James Darrah, director of Opera Omaha’s upcoming “Agrippina,” and Mauro Fiore, an Omaha-based cinematographer who straight-up has an Oscar, yo. For ticket information, use the internets and go to filmstreams.org. Voactiv.com, a site I am admittedly completely unfamiliar with, has stunning news: paying attention to half of the humans in the world pays off! Using the Bechdel Test—a rudimentary feminist test that specifies two named female characters must talk to each other about something other than a man—the site found that of the top 50 movies in 2013, the 24 that passed the test racked up $4.22 billion at the box office, whereas the 21 that failed (5 were excluded for random reasons) took in $2.66 billion. Even with several of the huge films left out (like Gravity, which doesn’t pass by technicality alone), it’s pretty obvious that giving women a reason to see your movie means more money for your movie.